Jack Meredith (left) and Cedric Trueman (right) being presented with the Charter at the inaugural dinner in April of 1985. 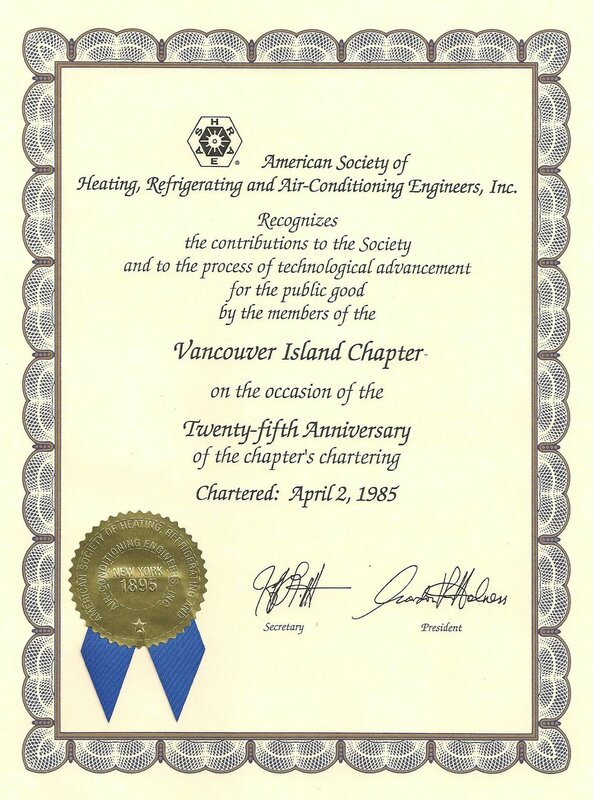 ASHRAE Chapters may not act for the Society and the information presented here has been reviewed by the Society. To learn more about ASHRAE activities on an international level, please see the ASHRAE home page at www.ashrae.org .